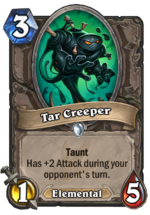 In this mid Range of Ranks, you face many Odd Rogues and Zoo Warlocks. To counter These Decks I created this Tempo style of Warrior and I was very surprised how good it works. 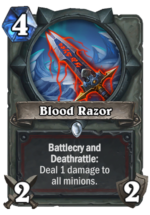 To AOE Dammage you have Blood Razor Whirlwind Mossy Horror and the best Card ever Dyn-o-matic . 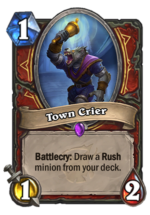 You can younter single Targets very good with your rush minions Kor'kron Elite Militia Commander Darius Crowley . 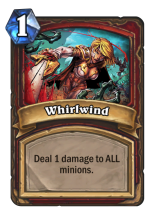 Also, you benefit from damage yourself with Whirlwind Blood Razor Frothing Berserker Blackhowl Gunspire Scourgelord Garrosh . 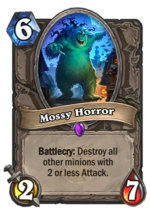 And Minions like Frothing Berserker Festeroot Hulk can grow very fast. 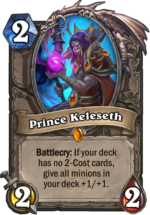 So this is of course not a Tier 1 deck, but if you face many Rogues and Warlocks, this is a very fun deck to win with.